Yes, this is my attempt at a panoramic view of Restoule Lake, in Restoule Provincial Park. Ten kilometres west of Restoule proper, is Restoule Provincial Park. It’s about a 45 or 50 minute drive Powassan on Highway 11 and extends along the banks of the Restoule River to its mouth at the French River. 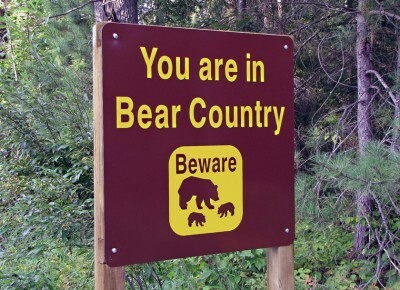 When we entered the park we were greeted with the ominous sign and immediately realized we had forgotten our bear bells. When I asked the ranger if we should avoid hiking, he laughed. “I’ve seen one bear in the last ten years and I live and work here.” Well, what did he expect us to think after seeing this sign?!?! The first thing you see when you drive into Restoule Provincial Park is this sign. I love that Ontarians are so safety oriented that we scare our own tourists. Restoule Provincial Park is more for camping and fishing than daytripping, although there are three trails. We did the Fire Tower trail, though we didn’t bother going to the fire tower since outside of the special one in Temagami (which is still surprisingly rickety, just to warn you) you can’t climb old firetowers in Ontario anyway. But we really liked the trail – the lookout was spectacular, it was relatively empty, eerily quiet and was just enough exercise to make us feel marginally better about our eroding middle-aged fitness. Restoule Provincial Park is home to the largest herd of white tailed deer in the province – chipmunks were everywhere, and grouse too – and is reportedly home to a large heron population, although the only one we saw during our trip was chilling out in a suburban storm water pond beside a Brampton highway. If you’re visiting Restoule Provincial Park in the off-season, the main gate will be closed – take the fork to your left and head to the workshop – there is an administrative office there where you can pay your entry. Restoule Provincial Park is also the administrative centre for South River Provincial Park, which is only accessible by boat and has no services. DEER! 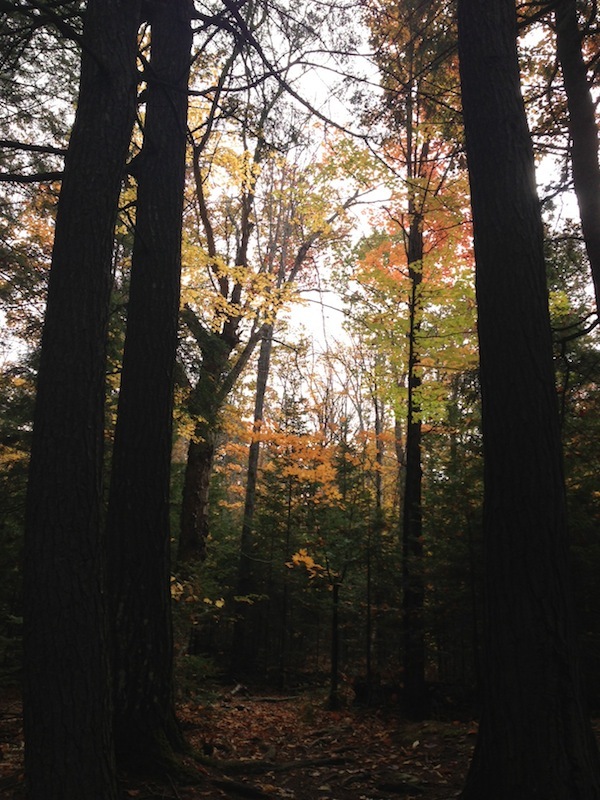 Restoule Provincial Park is home to the largest white-tailed deer heard in Ontariariario. The Fire Tower Trail in Restoule Provincial Park.